Privately we begun as a car dealership for Nissan automobiles in 1995 and in 2004 expanded our car dealer business for Toyota Automobiles as well. As we were exploring opportunities to capture new customers we discovered that most new customers were looking to rent or lease vehicles instead of purchasing them and this led us to establish Synergetic Auto Performance Co Ltd (SAP) in 2006 to provide self-drive long-term car rental services. Since then we have continually expanded our fleet and became a publicly traded company on the Stock Exchange of Thailand in March 2017. Today, we have two core businesses, first is long-term car rental services and second is self-driven short-term car rental services. For the long-term car rental services, we provide full fleet management services which are fleet procurement, tailored modification, maintenance, replacement and so forth. the contract period ranges from four to five years with most customers self-driving and a smaller portion on the chauffeur-driven service. Most of our customers are well known large corporations such as Tesco, Unilever, financial institutions and government agencies. For the self-driven short-term we focus on individual customers that are tourists, businessmen, and commuters. Our fleet is now over 10,000 automobiles from Toyota, Honda and Nissan, comprising of passenger cars, vans and pick-ups. What new services has ASAP expanded to and what future services does the company plan to launch? We are continually looking to expand with the automotive services industry as we see that there are several opportunities to provide value added services. In late 2015 we launched the self-driven short-term car rental service under the name “asap” in Thailand’s airports. Today we have kiosks at 7 airports and expect to be at 10 airports by the end of this year. Next in July 2016 we launched the chauffeur driven car rental services where we combine our fleet with chauffeur services and provide fleet and chauffeur management services, today we are close to 150 chauffeurs providing this service to our customers. Next, we launched “asap Go” which is a pay-per-use service for our customers. In our initial version, we are targeting corporate customers and we will be placing our vehicles in 30 office buildings in Bangkok by the end of this year. Customers can use their phone to reserve a car, open the door, use it and pay for the use. We have included different rates between parking and driving and we see that this will be an attractive service to customers as an additional option for commuting. For the cars will be parked at convenient locations. Finally, we are launching “asap Auto Park” which will be an auto services centers for self-driven short-term car rentals, used car sales area, maintenance and services and other facilities. The first asap Auto Park will be located at Bangna-Trad Rd km 12, which is near the south access entrance to Suvarnabhumi airport, and target to launch in the first quarter of 2018. This first location will be fully owned and operated by us going forward we are aiming for future asap Auto Park’s to be franchised and in locations where the new high-speed trains are located. What differentiates ASAP from its competitors? Access to supply of automobiles, financing and innovation are the three key elements for success in this business. We can meet the demand of our customers, for example in the first half of this year we expanded our fleet by 2,000 vehicles and in the second half it should be the same figure if not higher. Secondly, financing, we are thankful that the major financial institutions have supported us over the past decade and this is due to our ability to successfully manage our assets and liabilities, therefore when we must expand to match our customers’ demands we are able to secure the necessary financing. Finally, it is innovation, this comes in the form of new services such as asap Go, asap Auto Park and other ventures that we plan to launch over the coming years, it also comes in the form of fleet management. Our model is to ensure that all vehicles have less than 50,000 km mileage which ensures that the vehicles are newer, of higher quality and cleaner than other providers in the market. Also when a vehicle is five years old, we sell it via auction houses, this is both to ensure a modern fleet of vehicles and financing. We also ensure that 7% of our fleet are available as replacements in the case of incidents with customers vehicles so that they may have a replacement vehicle immediately. What are the biggest risks facing your business? The risks are predominately internal because we understand the business and industry and it will be up to us to be able to capture these opportunities. Today when people are traveling from Bangkok to Chiang Mai a higher proportion are electing to fly because the low-cost airlines are far cheaper compared to driving. But when you arrive in your destination people will typically require a vehicle for transportation. In the future, we will have high speed trains as well where the cost of travel may again decrease but still customers will need a vehicle for transportation, it is recognising these structural shifts and being able to ensure our business will thrive around them if we want to continue to be successful. Where do you see ASAP in five years from now? We aim to expand to be more than an automotive leasing company. We have taken the initial steps with our new services which allow us to expand to new customers and new markets, an example with asap Auto Park is that currently we are selling our vehicles via the auction houses. Typical buyers at auction facilities are used car dealers that will then add 25-30% margin to sell to the retail market, one of our aims with asap Auto Park is to capture this retail market. 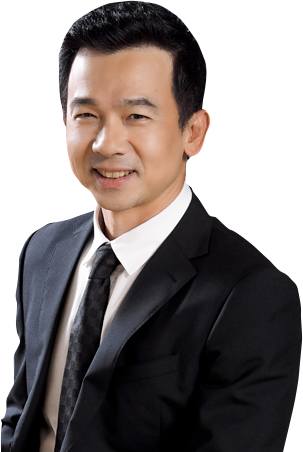 In my mind, there are multiple plans and options, in the past few years we could successfully grow at an average of 25 to 30 percent per year and we aim to continue this rate going forward allowing us to have 20,000 vehicles in our fleet in five years providing a range of value-added services to our customers in Thailand. Copyright © 2016 ShareInvestor Thailand. All Rights Reserved.